I received a request from a bride, Brecora Broner, to make her some bridal jewelry sets for her 8 bridesmaids for her wedding in October with a peacock theme. 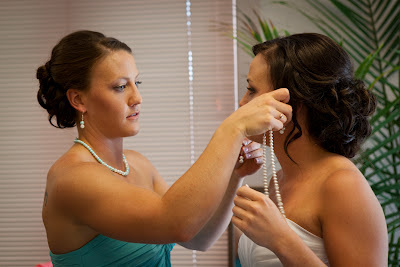 I happily agreed to work with her and was provided with her wedding color swatch and a picture of the bridesmaid dress. 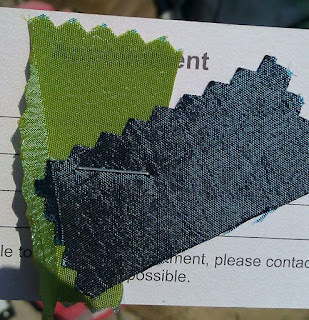 The MOH has a similar blue dress, but with a green sash - the color of the green in the color swatch shown below. 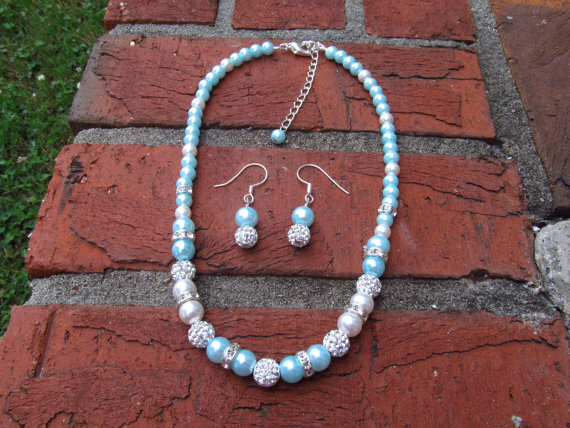 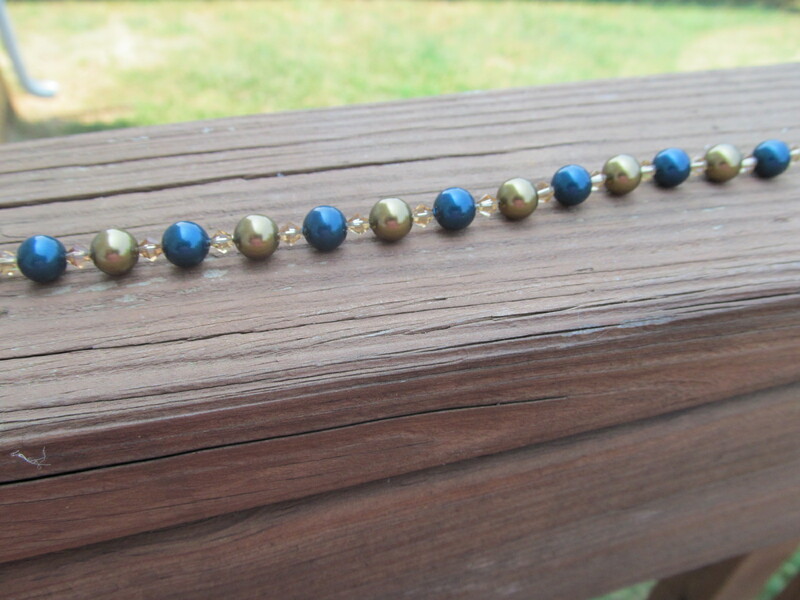 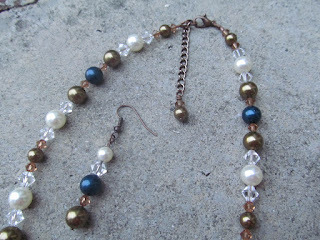 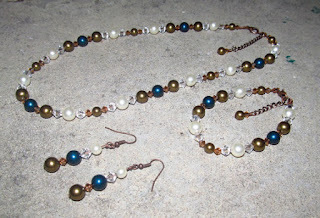 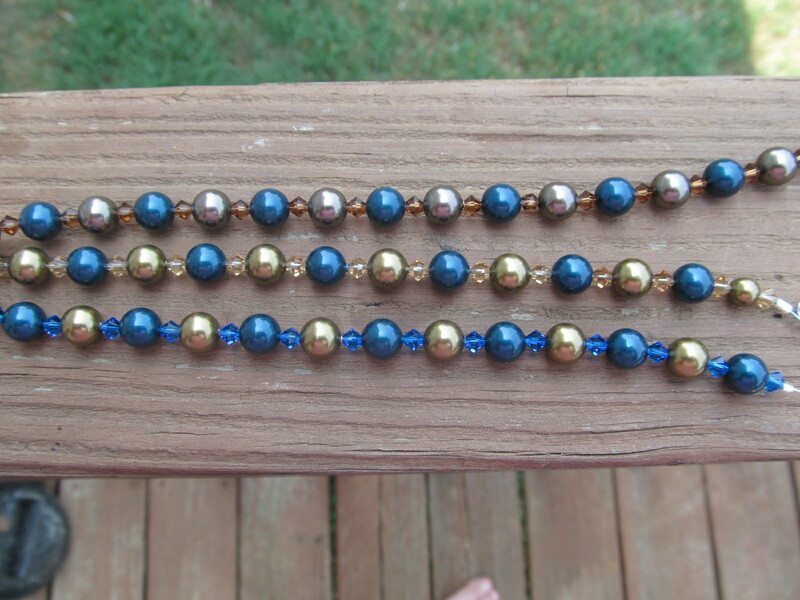 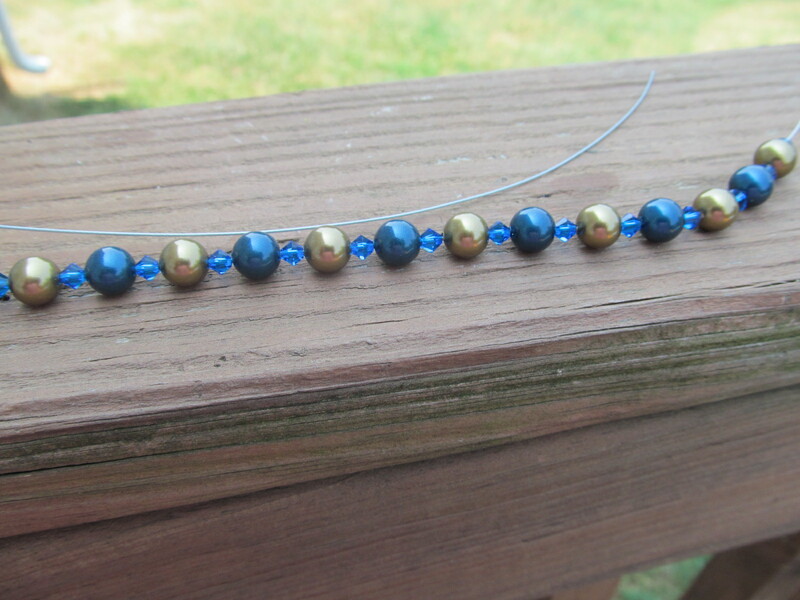 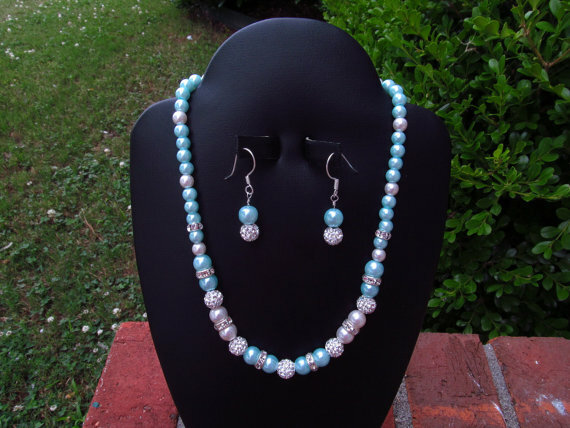 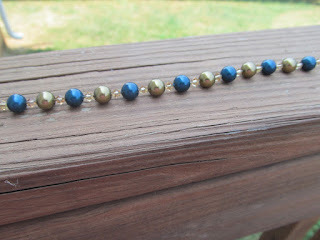 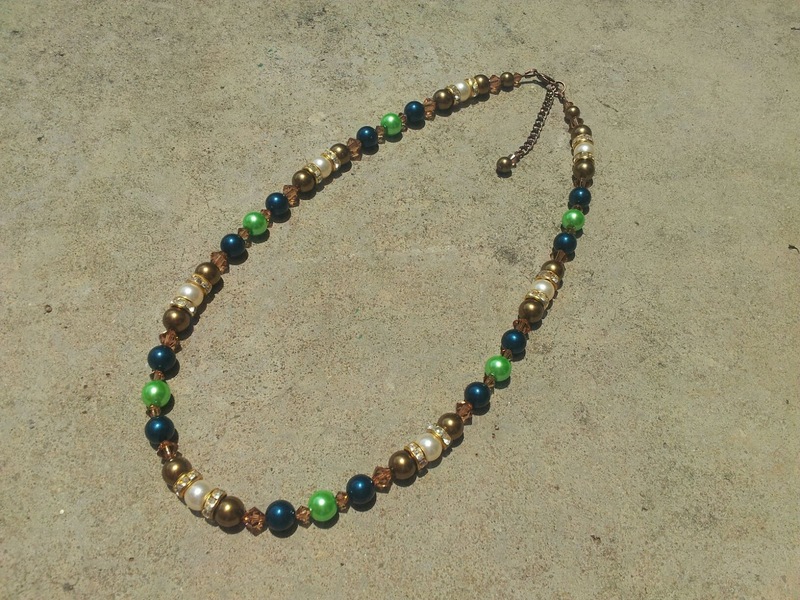 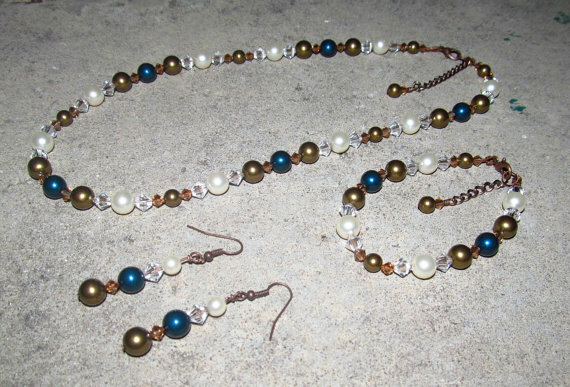 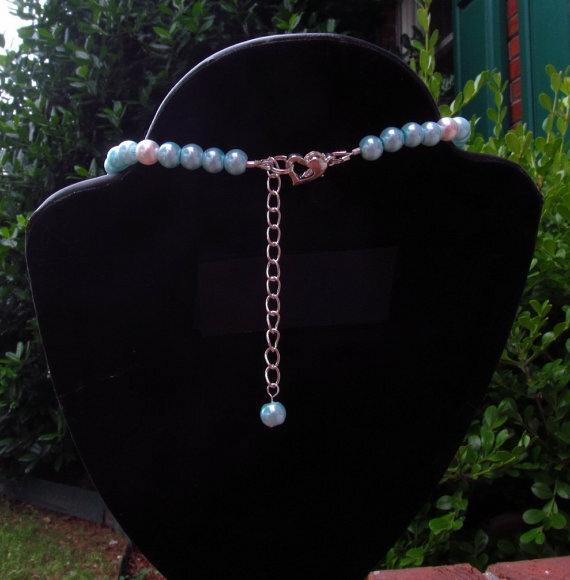 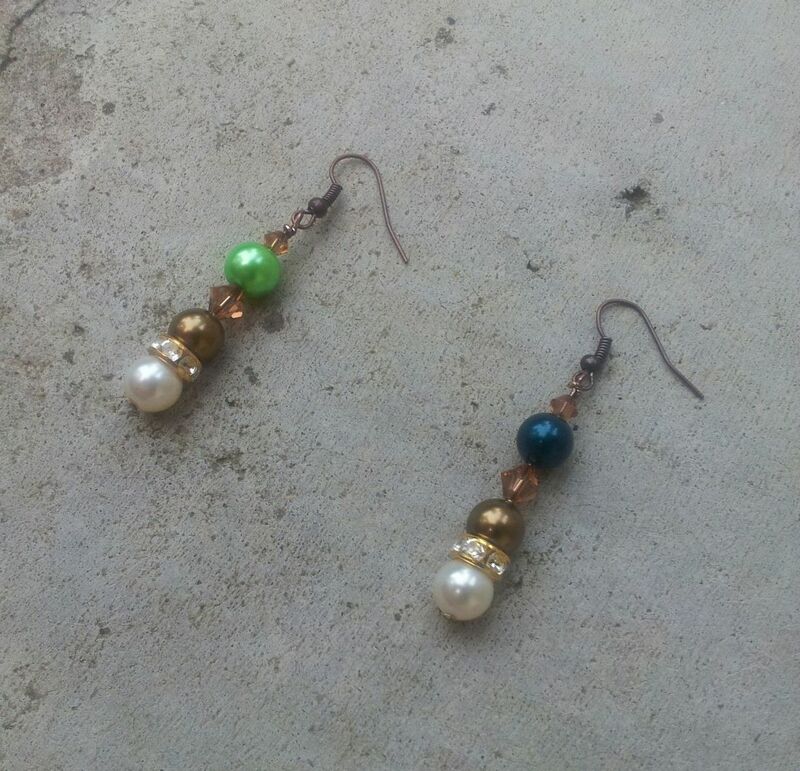 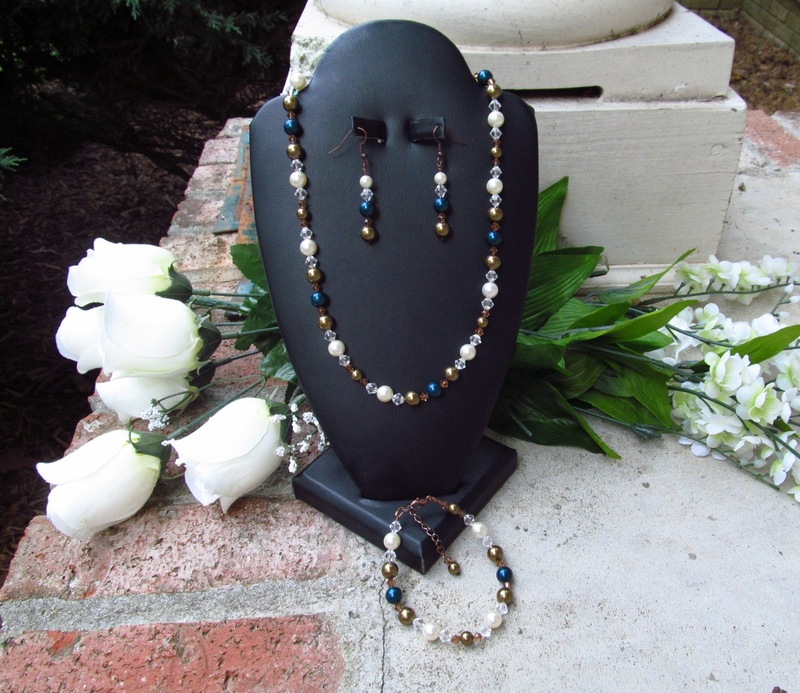 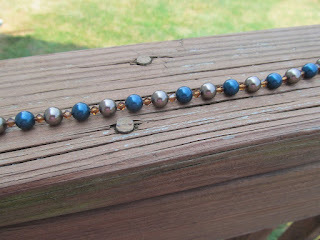 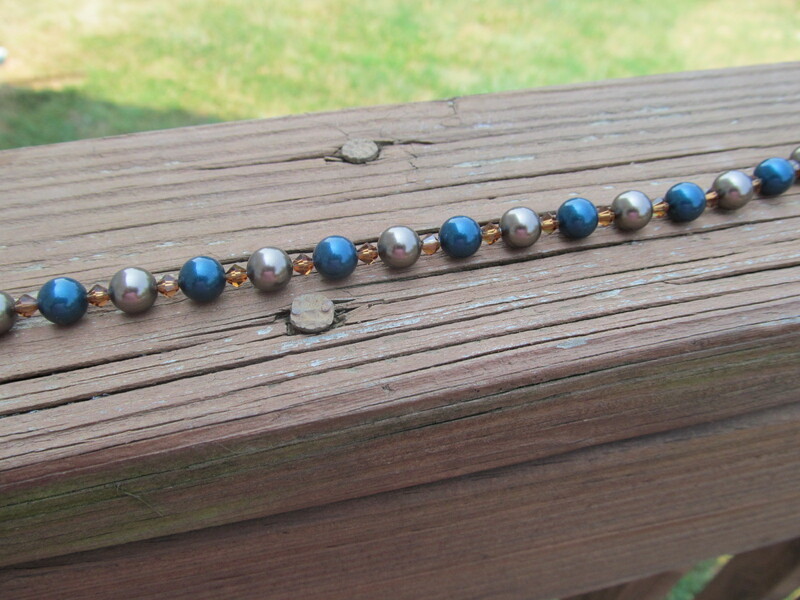 So... changing out the light bronze Swarovski pearls with the antique brass color, and adding the new Swarovski pearl color, Petrol blue, I created the following bridesmaid set, which Brecora loves and agreed on as the design to make for the bridesmaids. 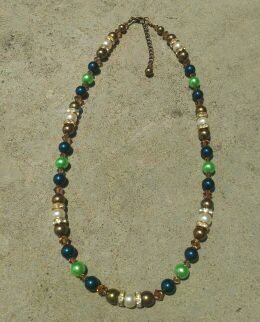 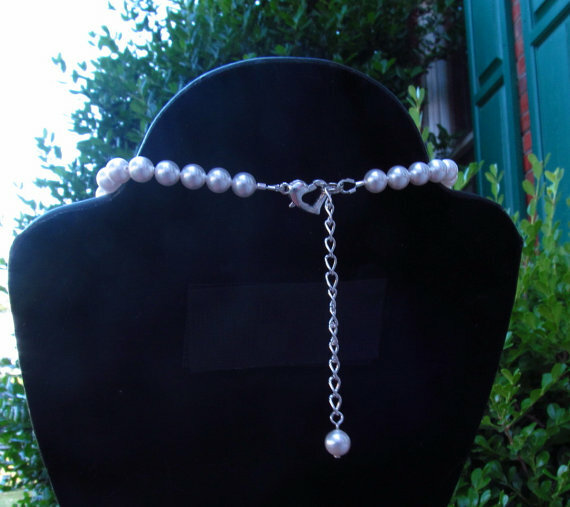 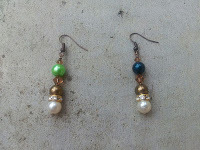 And we ended up choosing the design below... with the earring with the blue pearl at the top. 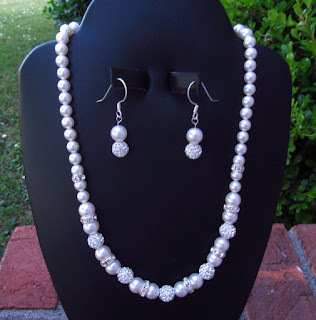 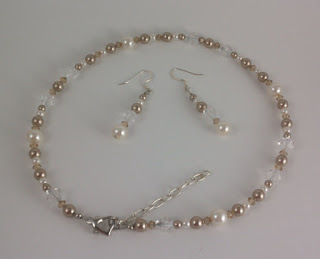 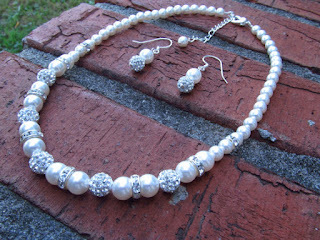 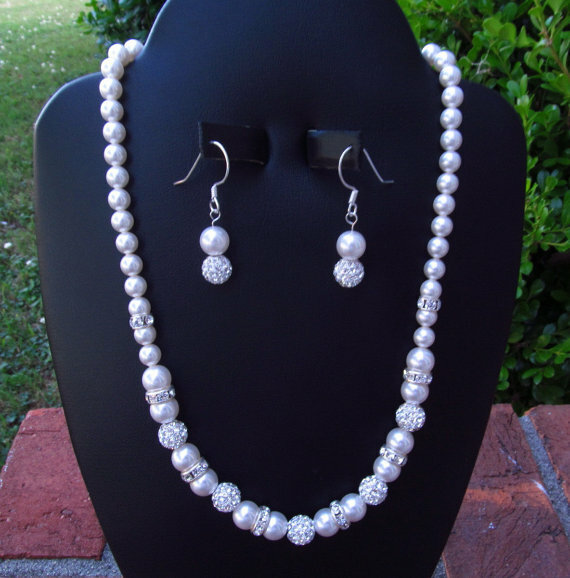 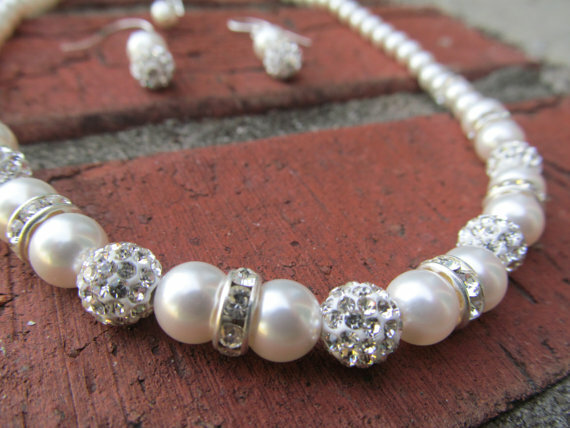 Stay tuned for my next blog on Brecora's bridal jewelry... more pictures of the finished designs of the MOH and also a beautiful Mother-of-the-Bride jewelry set!! 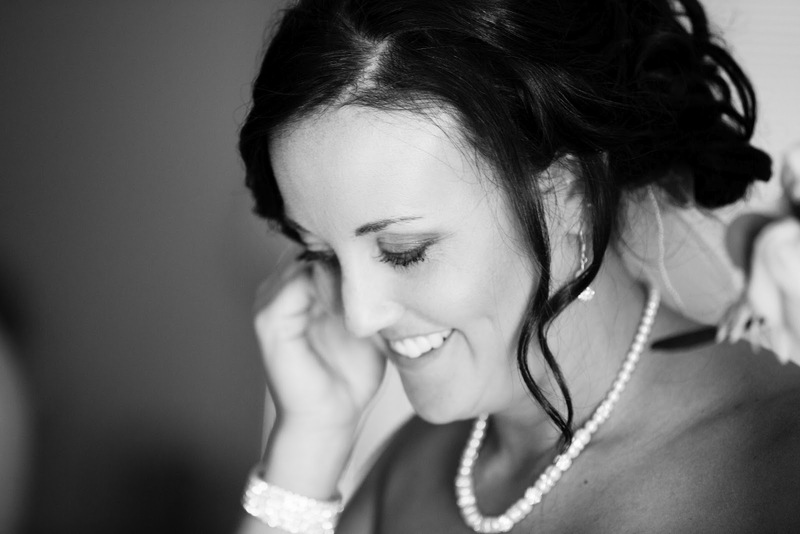 "Hi Angela....We both absolutely LOVED them :) She was so happy it rought tears to her eyes...mine too! 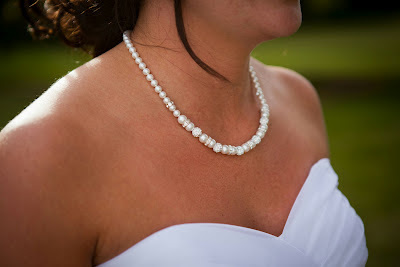 We could not have asked for a more perfect necklace and earings to go with her dress. 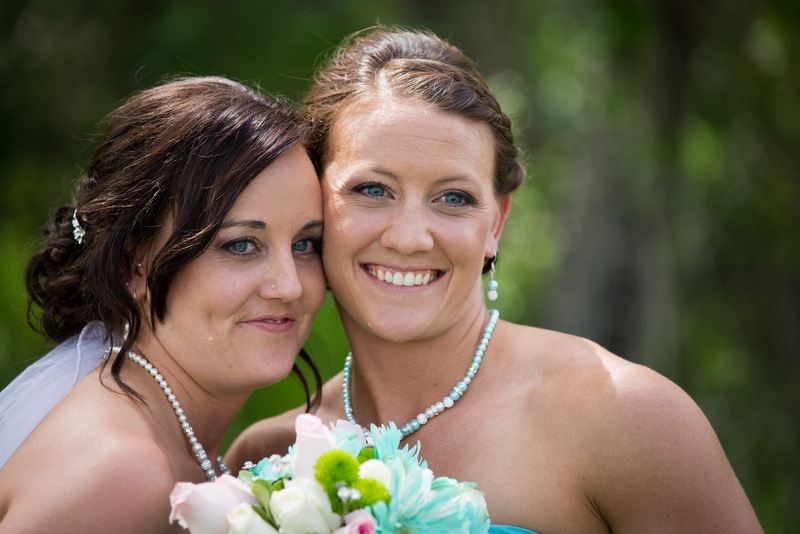 MOH was just perfect too...she can't wait to surprise her sister! I will send you pictures of her all done up on the wedding day... :) Thanks again - you are the best! 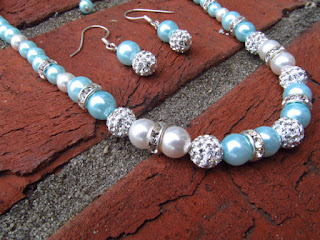 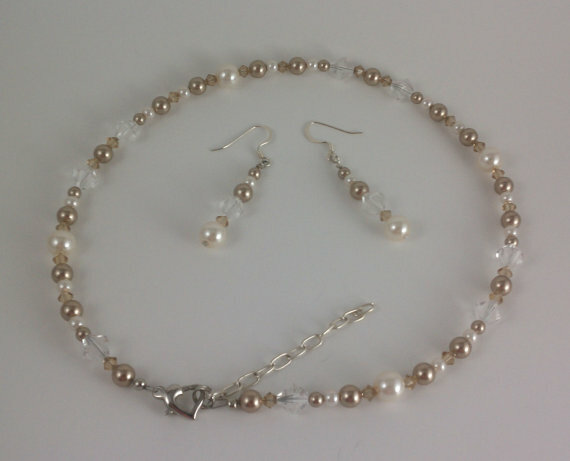 Kris"
The girls LOVED their jewerly and it topped off the dresses perfect. 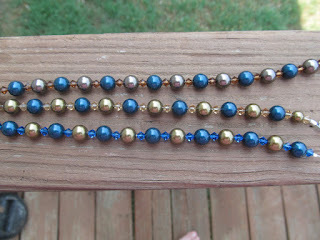 I am sending them in a couple emails...too big of files!